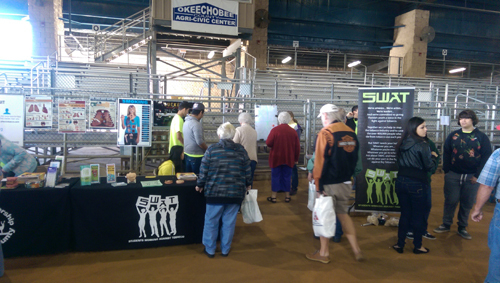 On Saturday January 31st 2015 over 1900 Okeechobee County residents attended the Health and Safety Expo. Our local SWAT students educated attendees on flavored tobacco, second hand smoke, and the effects of smoking and smokeless tobacco by having the guest participate in a trivia game about these topics. Many attendees were impressed by the SWAT youth’s knowledge about the topics and wanted to share their stories and life experiences with the youth. 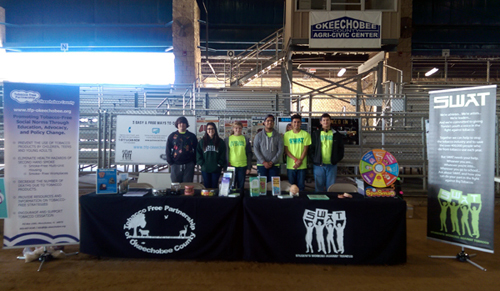 The Tobacco Free Partnership also had a booth at the Expo and offered information to attendees about Tobacco Free Florida’s 3 Ways to Quit Program, local work with policy change on Tobacco Free Grounds, information about how the partnership is making improvements within Okeechobee County, and information on Everglades AHEC tobacco cessation classes. Many of the attendees commented on how informative our booths were and how impressed they were with the knowledgeable SWAT youth. Okeechobee SWAT and Tobacco Free partnership are already looking forward to participating in the 2016 Expo. For more information on the work of the Tobacco Free Partnership and SWAT, call Courtney Moyett, Tobacco Prevention Specialist for Okeechobee County, by calling 863-801-8277. 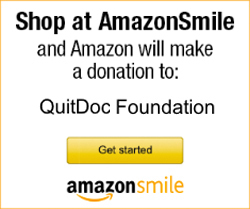 Courtney can also be reached at cmoyett@quitdoc.com and additional information is also available at www.tfp-okeechobee.org.